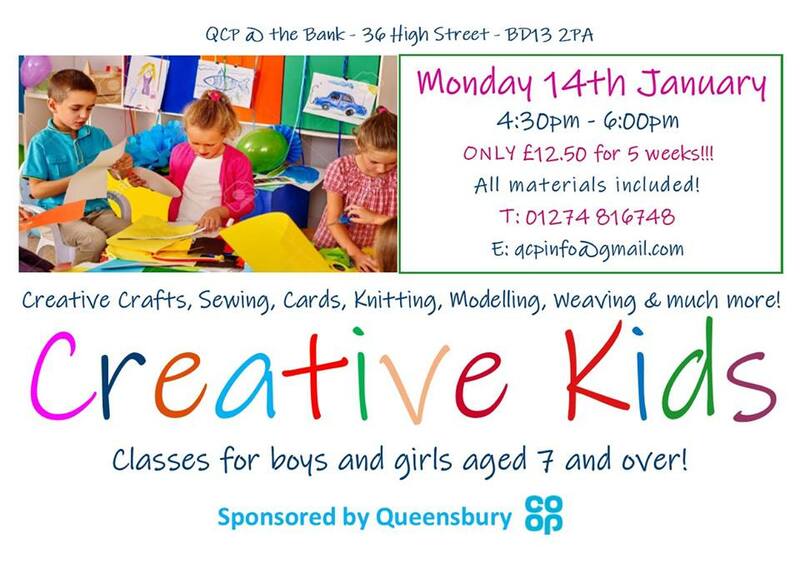 Kids Crafts Classes resume at Queensbury Community Project, The Bank, 36 High Street BD13 2PA on Monday 14 January, 4:30pm-6:00pm for 5 weeks – now only £2.50 per class! 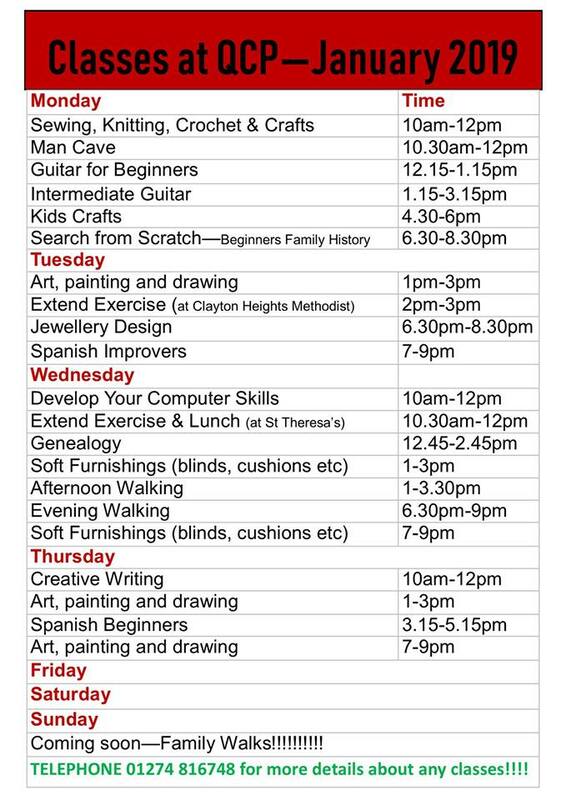 With creative crafts, sewing, cards, knitting, modelling and much more for boys and girls aged 7 and over. Contact QCP as soon as possible to reserve a place email qcpinfo@gmail.com or call 01724 816748.